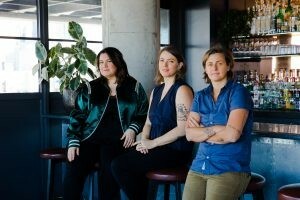 “We created the cocktail conference we wanted to go to,” Shelby Allison, co-founder of the upcoming Chicago Style and co-owner of Lost Lake cocktail bar, is fond of saying. Along with business partners Caitlin Laman, who is the beverage director of the Ace Hotel Chicago and Sharon Bronstein, director of marketing for the 86. 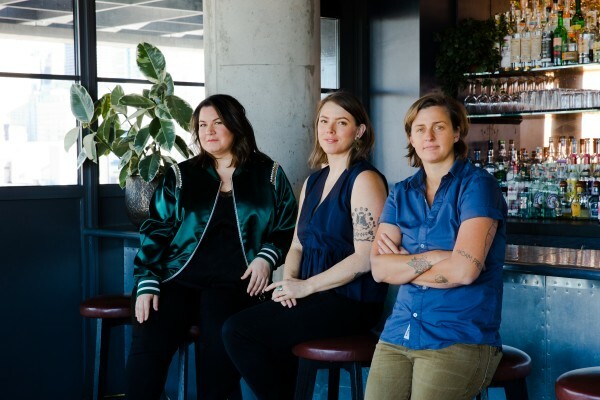 Co., its intent, as the website states, is to mix “equal parts think and drink.” While the convention, which runs from May 7 – 10, is open to everyone, these three women specifically set out to create an event geared toward the betterment of the hospitality industry. Seminar topics, at least for the first year, are geared toward themes of racial and gender equality, bar service improvements, solving management challenges and wellness. Of course there will also be drink education. And the brand-sponsored parties. Inclusion is the main focus. Not only is it the theme of many of the seminars, but it is also interpreted in the literal sense. One of the most frustrating elements of drinks conferences is that too many events overlap or run into each other, with pressure to choose wisely and rush off in between, often without necessary eating breaks to fuel up. At Chicago Style, all programming – seminars, events, activities – are scheduled without overlap so no one has to choose one activity over the other, and there is ample time between them to discuss, network and make way to the next one. A day of programming costs an affordable $60 all inclusive – no expensive wrist bands for tasting rooms. No limited access. The manageable price points are all thanks to sponsorships from brands who also recognize the value asset of the programming. Another way CS distinguishes itself – each morning begins with fitness or wellness activities. Allison explains why this is a necessary component to a conference that focuses on people who serve alcohol into the wee hours of the night: “We’ve teamed up with Alex Negranza (Imbibe bartender of the year) to provide fitness programming. This is to show that as bar managers or owners we can really take care of our teams and build healthy work environments but also take care of our most important bar tools, which are our bodies, our minds and spirits. Ultimately that makes us better hospitality providers.” Although these activities in the context of the conference might not be timed ideally for a real life bartender’s schedule, participants can apply them to fit a normal schedule at whatever hour works for them. “It’s a way to learn to wind down that’s healthier and provide longevity in this field,” says Allison. Now that it’s safe to say Manhattan Cocktail Classic is dead and buried, the finals of Speed Rack have relocated to the Windy City to partner with Chicago Style. The female bartending competition was founded in 2011 by Ivy Mix (now co-owner of Leyenda in Cobble Hill, Brooklyn) and Lynnette Marrero (now beverage director of the Llama Inn in Williamsburg, Brooklyn) to raise money for breast cancer awareness charities, as of press time, over $700,000 globally. The speed bartending competition began in New York and now takes place in other US regions, as well as European cities, with Miss Speed Rack crowned after each region meets separately and then against each other. The competition consists of several rounds of bartending heats between two female bartenders that are evaluated not only for time but for accuracy and drink presentation (the contestants in each round are required to make the same cocktail). The drinks are judged by a rotating panel of star industry veterans as well as chefs and drink writers. It’s as much a spectator sport as it is a bartending contest, and spirits brands sponsor the events with the ingredients used on stage as well as booths set up for ticketed attendees, who also have the option to purchase merchandise and raffle tickets, with all proceeds going to the chosen charities. It gets wild in there! 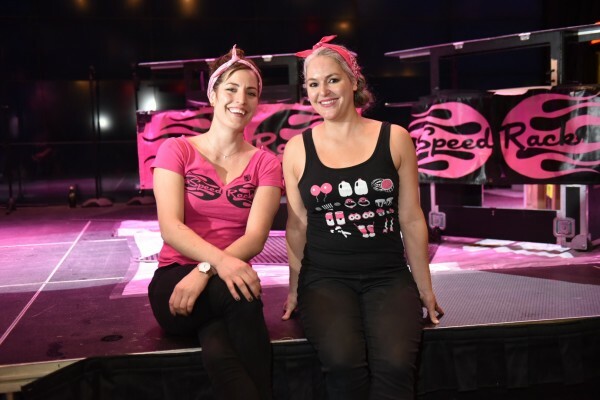 If you’ll be in Chicago on May 8 for this year’s grand finale to crown Miss Speed Rack 2018, you can purchase tickets here for the event at Revel Fulton Market.